Are you in need of a reliable Blaine plumber? Get in touch with the skilled professionals at Eagle Plumbing & Heating. Call us today at (360) 318-9999. Click here to save on many of our valued services. Your plumbing has several systems that all work together in order to ensure maximum comfort and convenience inside your home. Sewer lines, water heaters, sump pumps, and all other plumbing fixtures are bound to experience problems at some point in time. However, these issues can be drastically reduced through proper maintenance and timely repairs. At Eagle Plumbing & Heating we believe in not only tending to your problems, but also giving you the information needed to avoid more serious issues in the future. 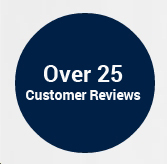 To read reviews from other customers in your area on the services we provide, click here. What are some signs that you need to repair or replace your sewer line? If you are dealing with any of these issues it is important to contact the knowledgeable professionals at Eagle Plumbing & Heating as soon as possible. Our specialists can locate the root of the problem and determine whether repair or replacement services are needed. You may be wondering why you should choose to have a tankless water heater installed in your home. There are many benefits of installing these modern water heaters that we would like all of our customers to be aware of. First, a tankless unit will deliver immediate and continuous hot water to all the fixtures in your home. It will also cut down on your monthly utility bills by conserving energy, as water is heated only when needed. Tankless water heaters take up very little space and can be installed virtually anywhere. They are reliable and efficient systems that tend to outlast their traditional competitors. Why should you have a sump pump installed in your home? A sump pump is an important piece of machinery that removes excess water from a basement or crawlspace and pumps it safely out of your home. During an intense rainstorm or plumbing emergency intrusive water can seep into the lower levels of your residence, causing severe damage to your property and belongings. Additional risks can be created if you attempt to solve the problem without the help of professionals, electrical surges from damaged alliances and highly slippery surfaces can be highly dangerous to you and your family. Standing water can also create a breeding ground for mold and bacteria, resulting in health related issues. An efficient sump pump can also act in combination with your dehumidifier helping to reduce the amount of moisture in your home. The expert professionals at Eagle Plumbing & Heating can talk to you about the various types of sump pump systems, helping you to decide what unit will work best for your home and personal needs. For professional plumbing services in your area, contact the certified professionals at Eagle Plumbing & Heating. Call us today at (360) 318-9999.